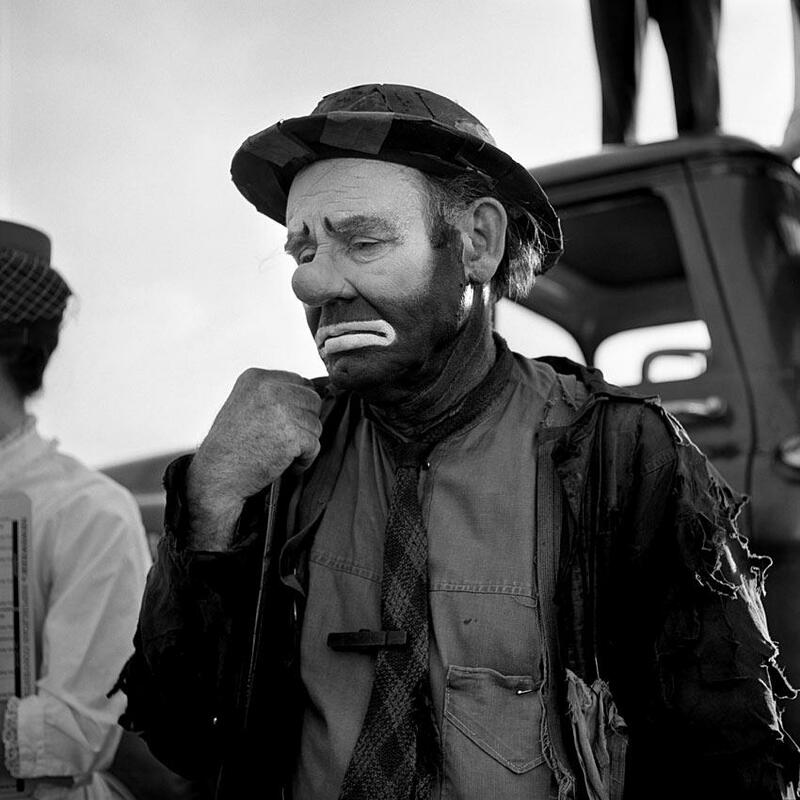 Portrait of a sad clown. Inspired by the photographer Vivian Maier. Its a very early progress, just started this today, needs lots of love and energy still. A personal piece.